Relegation threatened Burton stuck the knife into the Lions as Marvin Sordell’s winner twenty minutes from the end of the game to win the match 1-0 and leave Millwall hovering just above the relegation zone. 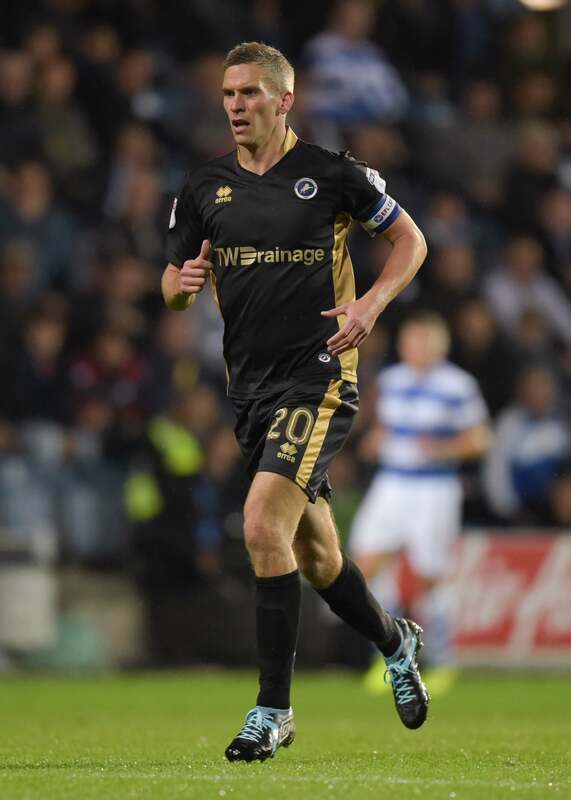 To compound the defeat Millwall were once more reduced to 10 men as Jed Wallace received his marching orders after 56 minutes with a straight red card. Going into the game the Lions would have been looking for 3 points at home to steady themselves after a fairly rotten run of form as of late particularly as Burton were low on confidence and struggling in the relegation zone. Instead a rare away victory for Nigel Clough’s Burton Albion will have quite a few people in South London worried about whether Millwall have the resilience, fight and stamina to survive in the Championship this season. The reality was that Burton Albion only had one shot on goal the whole afternoon from which they managed to score from, indeed they only had two shots the entire game in total. Compare that to the Lions with 13 shots in total and yet despite that only two shots were on target. The home side should have done a lot better but a lot of teams are cottoning on to Millwall’s game plan of whizzing the ball up to Lee Gregory and hoping he can do something with it. Sometimes Gregory seems so alone you wonder why Morrissey never wrote a song about him. This defeat by lowly Burton was a slip up that Millwall could ill afford and sees them languishing down in 19th place with the pack around them closing up. Apart from Albion, Reading played brilliantly to beat Derby 4-2 away to distance themselves from Millwall while bottom of the table Bolton came up with a rare win courtesy of Norwich City to drag themselves kicking and screaming off the bottom of the Championship table that Sunderland now find themselves propping up. Burton actually moved out of the relegation zone following this win and only 4 points separate the two teams. Yet it was Millwall who did most of the work and most of the running and without a doubt had the upper hand until Jed Wallace was shown a straight red card just under the hour mark for a foul on Tom Flanagan. The game changed from thereon in. The first half was slightly dubious with both sides weighed down in a scrappy encounter although Millwall were the bossier and slightly better of the two teams. The Lions could have been ahead at half time through Aiden O’Brien, who incredibly blasted over from four yards out just before the interval to the disbelief of the majority of the 11,507 attendance at the New Den. The first ten minutes of the second half were very much like the first half with Millwall having more possession and eeking out half chances here and there but it was all to change after Jed Wallace became the fourth Millwall player to be sent off already this season when he was dismissed by referee Tony Harrington for a challenge from behind on Flanagan. Suddenly Burton showed a little self belief and Marvin Sordell then poked in Matty Palmer’s centre from close range to net the visitors’ first Championship goal away from home since 12 August, a run which lasted six matches and it was to prove to be the goal that ended a run of seven league games without a win. Although Millwall almost grabbed a point after Lee Gregory hit the post in added time the omens were not on the Lions and another defeat beckoned. “I’m frustrated and disappointed with the outcome. We missed two guilt-edged chances in the first half and our attacking players have not done enough in the penalty area, so we need to address that. “The red card changes the complexion of the game and gave Burton more inspiration and bravery. I’ve not seen it again properly but at the time I was amazed and I think the whole ground was astonished. If you fancy a bet on the Lions follow this link.